I hope you're all having a great week! I just got back from Austin, Texas with my roommates (vlog to come soon!) and had a great weekend away. I felt so stressed out right before we left between fashion week, working on the latest issue and feeling like I was falling a little behind on my blog posts. It got me thinking a ton about self-care and well-being, especially during this time of year. So no matter how stressed out you're feeling, take some time this week to do something relaxing. For me, this probably means doing a face mask, watching the episode of The Bachelor I missed last night, and cozying up in my favorite velvet pants. 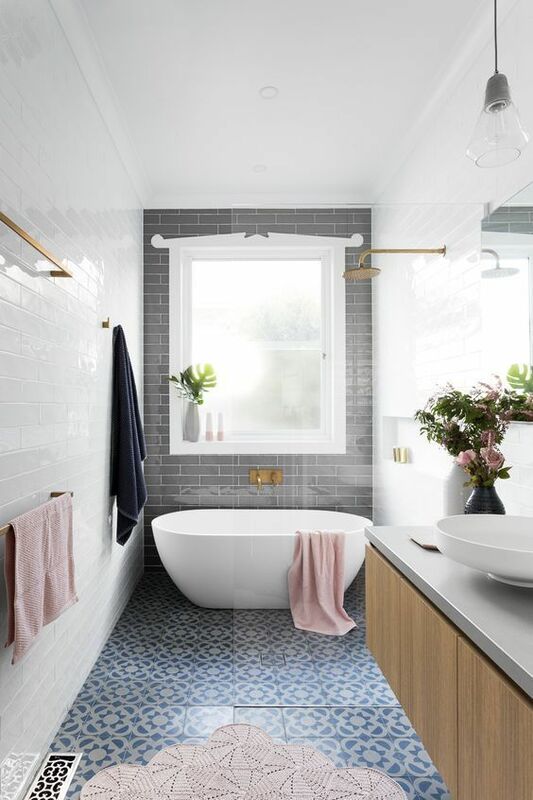 I am definitely not a bath person, but we all know that the right aesthetically pleasing bathroom can easily change my mind. 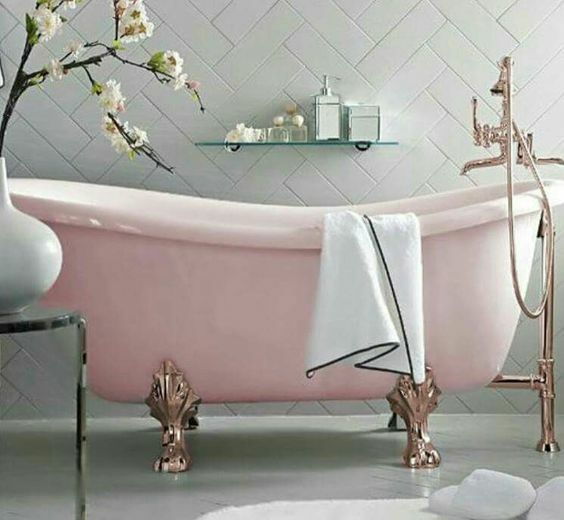 So, as I reassess my editorial calendar and recharge, please enjoy scrolling through these aesthetically pleasing baths, all of which make me smile. Sometimes it's the little things, right?